Keep busy parents in the loop by using Bloomz for your whole school. Learn how it works. As a school leader, one of the most important parts of your job is facilitating clear communication between school and home. Luckily, there are many excellent parent communication apps on the market designed to make your job easier. But which one is the best, and why? We’ve done the research on nine of the most popular apps, and here’s what we found. Probably the most important question you have when choosing a parent communication app is “what can it do?” The following chart offers a quick guide of some of the most important features for the top parent communication apps. The award-winning communication app from Bloomz offers perhaps the most comprehensive set of features to help teachers, schools, and parents connect, coordinate, and communicate. Teachers can send out assignments, reminders, and progress reports as well as communicate with families about conferences, field trips, and volunteer opportunities. In addition, teachers can track attendance, behavior, and class goals and share reports with families. Parents can stay on top of their children’s progress with updates shared through student portfolios. The upgraded version, Bloomz for Schools, allows administrators to connect with parents, teachers, and staff individually, in groups, or school-wide, as well as coordinate events and share school resources and multimedia. In addition, the app gives administrators access to feeds in every class in the school so they can be in the loop. Bloomz also stands apart for its comprehensive functionality, offering communication, behavior, and scheduling tools all in one. It’s free for schools, teachers, and parents. There’s a subscription upgrade that comes with increased features. A user-friendly app that provides teachers with schoolwide, group, and 1:1 messaging, the Remind app allows teachers to send schedule reminders with attachments (photos, PDFs, and voice clips) and is particularly popular with high school teachers. The district plan allows administrative management controls and statistics, including access to communication logs. It’s free for teachers and parents. There’s a subscription upgrade for the school-wide version. The ClassDojo app allows teachers to instantly share announcements, photos, and videos with families on their Class Story, as well as privately message any parent. In addition, the app features videos and activities that encourage positive classroom culture and a teacher toolkit of helpful classroom management accessories. Students can showcase their learning by adding photos and videos to their student portfolios. Free; with premium subscription available. The TalkingPoints app is a basic multilingual texting tool for schools and districts to engage families from every background. Teachers and administrators can send messages and photos to individuals, small groups, or the whole community. In addition, they can conduct polls for parent feedback. Messages are automatically translated to the home language from school to home and home to school. The mission of the SchoolCNXT app is to help districts and schools build positive school culture and actively engage communities. This user-friendly app allows schools to share news and important information and send reminders. Language translation and text-to-speech features provide equal access to all families. The SimplyCircle app features 1:1 and group messaging, automatic reminders, and parent sign-ups. In addition, it allows teachers to attach permission slips and other files. School-wide licenses are available for your entire school with unlimited use for every classroom, grade, PTA committee, etc. SimplyCircle accepts and processes payments. 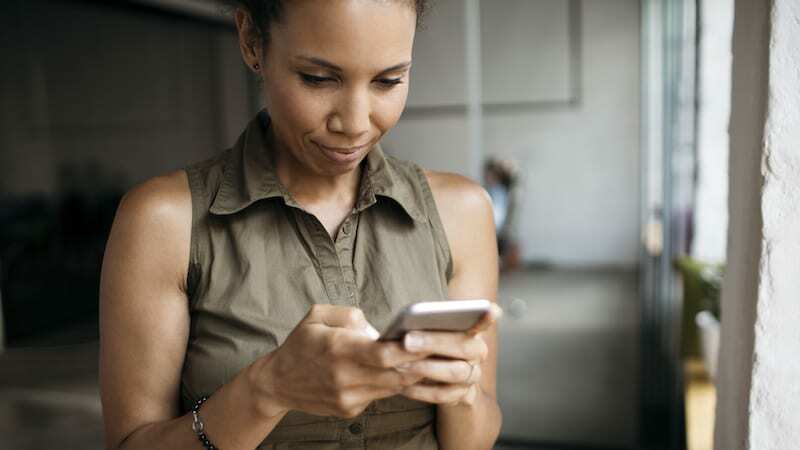 Connect with parents and save time on communications with direct messaging, announcements, photo/video sharing, conference and event sign-ups, and automatic weekly newsletters. ClassTag testimonials claim the app provides great visibility to administrators across all classrooms. The ClassTag app allows participants to earn “class coins” for engagement to redeem for free supplies and resources. Free, although their website mentions they may add additional paid features down the road. The LivingTree suite of products includes three tools: Engage, Give, and Classroom Messenger. 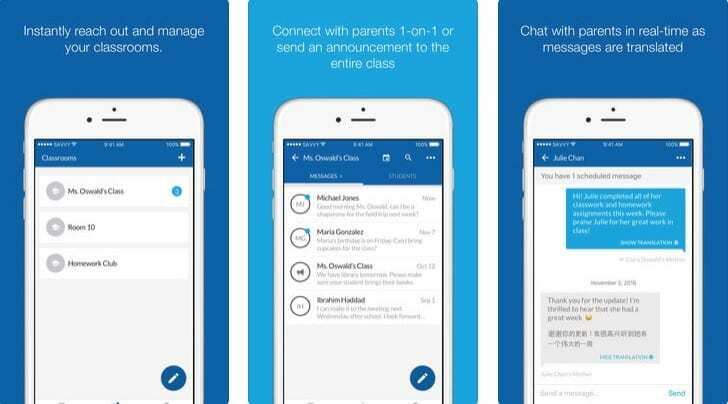 Classroom Messenger allows teachers to communicate efficiently with students and families using instant messaging, calendars, volunteer sign-ups, surveys, and more. Engage gives administrators tools to promote engagement and enhance visibility with tiered communication and communication reports. And Give assists administrators with online fundraising using tools that provide oversight and accountability. We’d love to hear: What are your favorite parent communication apps and why? Please share in the comments. Is It Time to Ban Computer Note-Taking? Our Schools Are Hiring More School Police Than Counselors. Where Does That Leave Students? Principal Hotline: What Do I Do if I Miss Teaching?